JACK ALEXANDER is founder and President of Value Advisory Group, LLC, a consulting firm with a focus on improving business performance and building shareholder value. He is a lecturer at Babson College, where he teaches corporate finance and advanced finance electives in the MBA program. Alexander is a frequent speaker on value-based management and business performance management. Prior to establishing Value Advisory Group, Mr. Alexander held a number of senior operating and financial positions in the industry. He is a Certified Public Accountant and has an MBA from Rider University and a BS in business management from Indiana University of Pennsylvania. CHAPTER 1 The Management Challenge: Integrating Performance, Finance, and Value. PART ONE Creating Context and Covering the Basics. CHAPTER 2 Fundamentals of Finance. CHAPTER 3 Key Valuation Concepts. CHAPTER 4 The Business Model and Financial Projections. PART TWO Linking Performance and Value. 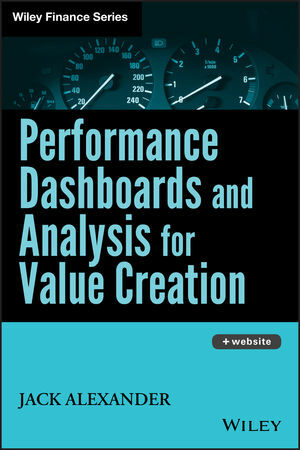 CHAPTER 5 Drivers of Shareholder Value and the Value Performance Framework. CHAPTER 6 Revenue Growth and Pricing Strength. CHAPTER 8 Capital Effectiveness: Working Capital. CHAPTER 9 Capital Effectiveness: Long-Term Assets. CHAPTER 10 Cost of Capital and the Intangibles. PART THREE Driving Performance and Value. CHAPTER 11 Building a Performance Management Framework. CHAPTER 12 The Economics of Mergers and Acquisitions. CHAPTER 13 Benchmark Takeaways and Summary.